Should I Post Bail Immediately, or Should I Wait? There are several factors you and your family need to take into account when making the decision to either immediately post bail or to wait until after the arraignment to do so. You are strongly urged to talk with a skilled criminal defense attorney at Wallin & Klarich before making this decision. You can find us throughout Southern California: Orange County, Los Angeles, Riverside, San Bernardino, San Diego and Ventura. Not sure whether to post bail immediately or to wait? Allow Wallin & Klarich to help you by calling us today at (877) 4-NO-JAIL. The amount of bail and the criminal charges. Whether or not it appears likely the prosecutor will file more serious, or less serious, charges at the arraignment. Your contacts in the community. Whether or not you have a criminal history. The number of character witnesses and character letters you can gather that will convince the court your bail should be reduced. The overall likelihood of your bail being either reduced or increased at the bail hearing. If you choose to post bail immediately, your criminal defense attorney will have more time to work on your case and convince the prosecutor to reduce your charges or drop the charges entirely. If you choose to wait before posting bail, the prosecutor must quickly determine what charges to file and whether or not to file charges. It is very important that you speak to our office before making this important decision because that decision can have a considerable effect on the amount of your bail. Why Should I Contact a Criminal Defense Attorney Before Posting Bail in Orange County? Your attorney can quickly determine how much it would cost to make bail. Your attorney can explain the different kinds of bail that you can post. The attorney may be able to negotiate to have your bail lowered, or arrange to have you released on your own recognizance, without having to post bail. By hiring a criminal defense attorney as soon as possible after being arrested, you will only have to pay an 8 percent bail bond premium rather than the normal 10 percent. Law enforcement officers typically try to take advantage of the confusion and fear people experience when they are arrested. By telling them you want to speak to an attorney before being interrogated, your attorney can get your side of the story. In addition, your attorney will make sure your rights are protected by negotiating with the prosecutor and being present during the interrogation. Your attorney can also prepare for your bail hearing. This typically takes place within two days after an arrest unless the accused posts bail earlier. You not only need an attorney to help potentially reduce your bail, you need to hire one as soon as possible after being arrested so he or she can start putting together a strong defense strategy. Find out what the next step is in your case, call us today. If you or someone you know has been arrested it is critical you hire an attorney who will provide representation in every phase of the criminal proceeding. 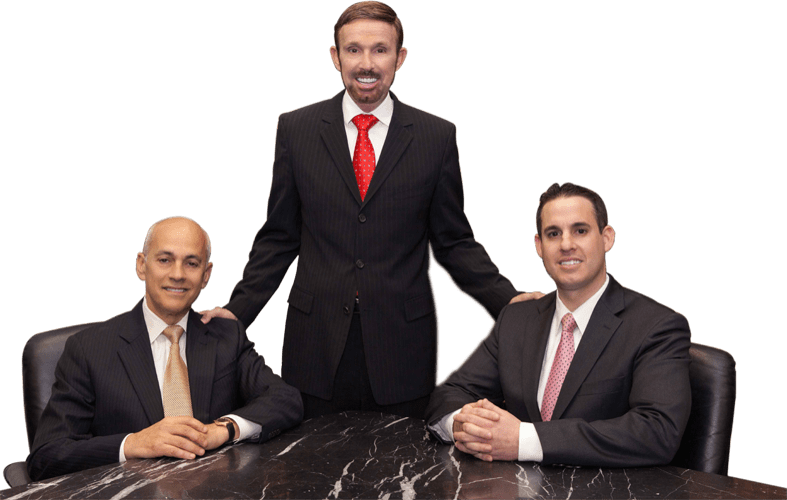 The OC criminal defense attorneys at Wallin & Klarich have helped people accused of crimes for more than 30 years and continue to aggressively protect their rights. We have offices in Orange County, Los Angeles, San Diego, Riverside, San Bernardino, Ventura, Victorville and West Covina. If you would like a consultation, call us now toll free at (877) 4-NO-JAIL. We will be there when you call.